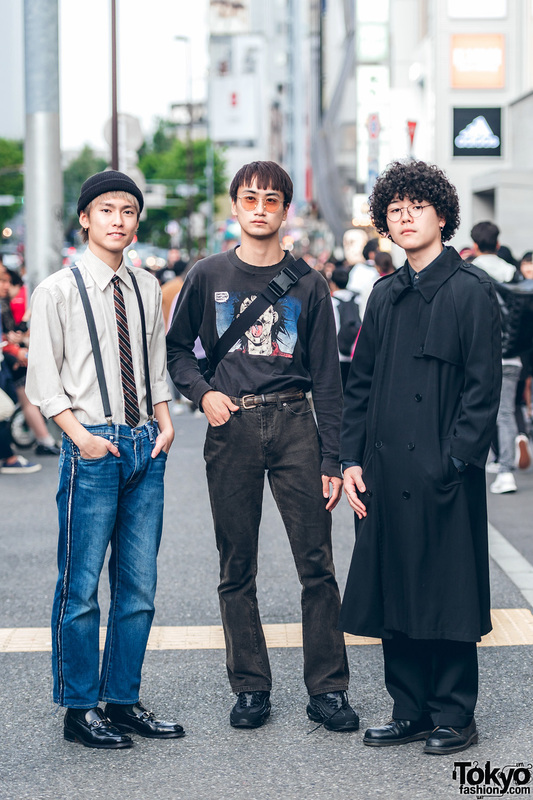 Harajuku guys sporting interesting streetwear looks while out and about on the street one fine day. 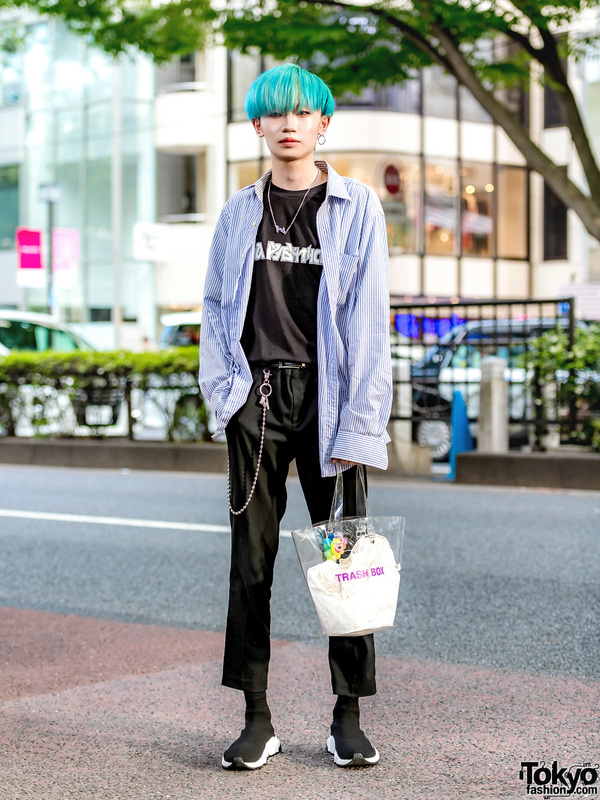 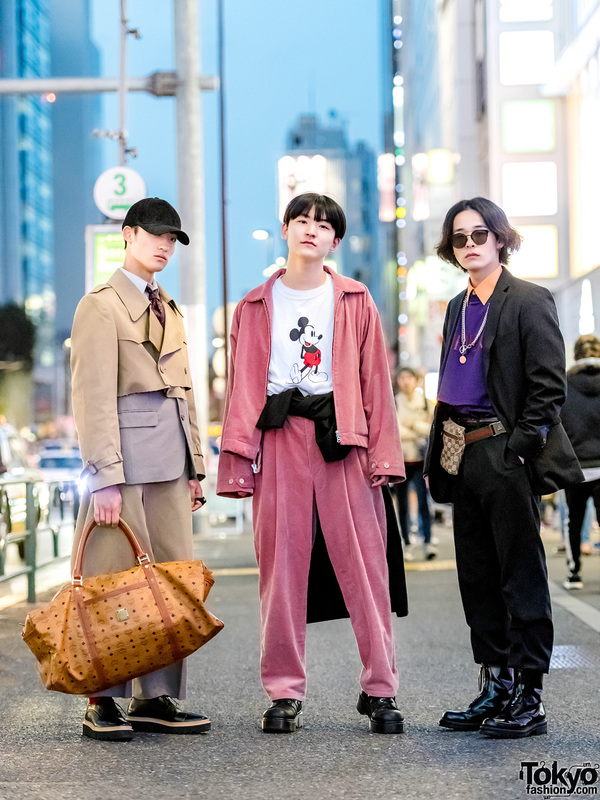 Trio of Harajuku students sporting menswear streetwear styles in Tokyo. 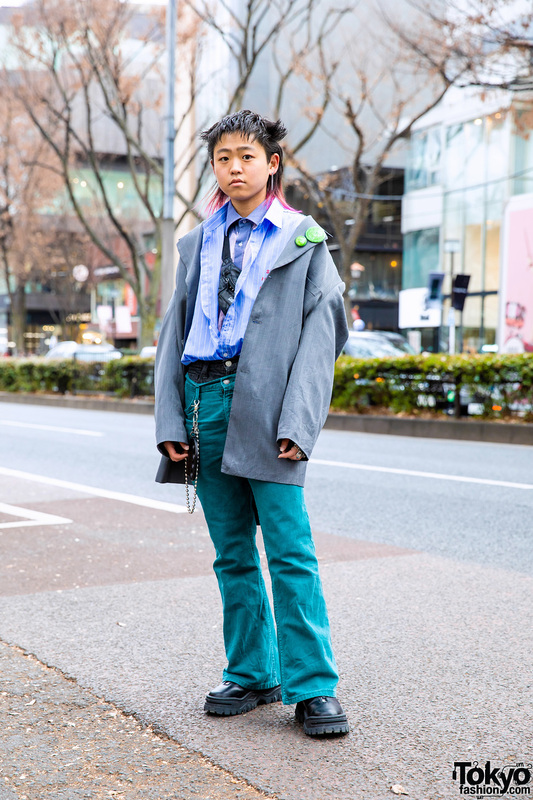 Japanese teen in checked tweed fashion with coat and matching pants, pinstripe shirt, mid-calf boots with white laces, and chunky knuckle rings.